Baddie B Lashes was founded by Jennifer Ruiz, more commonly known as Jenny Sixty Nine, or @Jen_ny69 on social media channels like Instagram and Twitter. Jennifer was one of the first Latinas to break into social influencer circles, and at age 23, she has 1.2 million followers on Instagram. She first began posting on Youtube in 2014, and her followers have been increasing steadily as she continues to roll out beauty tips and video tutorials, especially for her Latinx audience. Baddie B eyelashes are still very new on the market, having only been launched in September this year. Since the brand is still so new, there are currently only six different styles to choose from. Each style of the Baddie B fake eyelashes has a 3D and is made from 100% mink hair. They come with a comfortable, flexible lash band and can be worn up to 25 times. 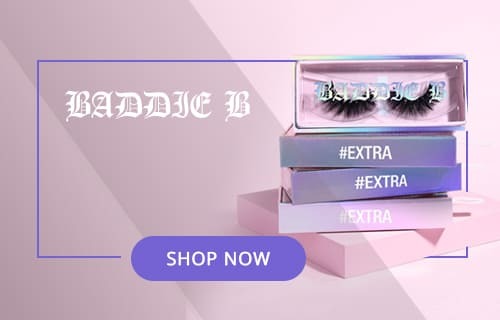 Currently, you can only buy Baddie B lashes directly from the Baddie B website. Over time, we’re sure that distribution will be extended; however, for now, you will need to go to the official website to make your purchase. As we already mentioned, there are currently only six different styles of Baddie B falsies. Each pair comes in a beautifully designed and practical box to store the lashes. Baddie B is written across the body in a holographic font, and the style name appears with a hashtag on the side of the box. 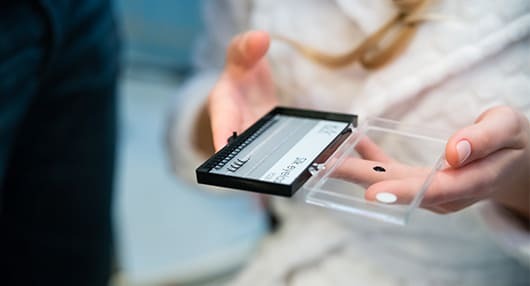 A lot of effort has clearly been put into designing the packaging in such a way to easily store and use the lashes, while still making sure that they look pretty and keep to the particular aesthetic. The Sugarbaby lashes are the most natural looking Baddie B lashes of all five styles. These are for individuals who don’t like to wear super dramatic lashes and prefer to keep things a bit more low key. The Instahoe lashes are very dramatic. Of the six styles, these are in the top two most dramatic. They are Instagram appropriate – hence the name, Instahoe. Very similar to the Instahoe style but not as dense and a little wispier with more gaps in between – the Baddie style is more dramatic all the way across the lash. The F***BOY lashes are perfect for a hot date. They’re ideal if you desire a glam appearance but still want to pull off wearing lashes during everyday life. These are very wispy, and won’t overwhelm your entire eye. The Saucy style is the most recent style to be unleashed by Baddie B, and although similar to the other five styles the brand has to offer, these falsies are feathery and messy, for a more down to earth, yet still super glammed up appearance. The Extra lashes are the second most recent style to be added to the Baddie B collection. They are similar to Instahoe but are a lot thinner. They are thinner towards the inner corners of the eyes and flare out towards the outer corners. Since the brand is still relatively new and there aren’t many customer reviews, Baddie B Lashes loses a few points in this section. Where they gain our approval is through the owner, Jennifer Ruiz, who is a social influencer with over 1.2 million followers on Instagram. These lashes are not cheap when compared to other, more established brands. In fact, we think that at $19 a pair, they are slightly overpriced considering the brand still has a long way to go. However, we have to take into account the good quality, and as we all know, you get what you pay for. Jennifer Ruiz is fully committed to providing high-quality products that won’t disappoint her loyal followers. Made from 100% mink hair, and a flexible lash band, these are excellent quality lashes. Currently, there are only six styles to choose from, which is not much when compared to many other brands who offer as many as 60 styles or more. However, once again, the brand is still new, and are sure to launch more products and styles as they develop over time. Jennifer has stated in her Youtube videos that if looked after and cared for properly, the lashes can be worn for as many as 25 times. This is considered one of the best rates of durability in the industry. The Baddie B lashes are still relatively new on the market, but they’ve already made a huge impact. While the collection is still lacking in terms of variety, the styles that are available are very impressive and of a high-quality. I really just don’t like the lack of variety. Wish they’d make more lashes, getting tired of wearing the same ones again and again. I saw Baddie somewhere in some magazine. Can’t quite remember which one but I somehow remembered the lash. Decided to read a bit about it online and then buy. Really like these super fluffy falsies. forreal these lashes are turning heads! I was walking around the city the other night and 3 or 4 strangers asked me what type of lashes I was wearing. I told them right away its Baddie B. Saw this on the gram of course, read a little more about everything here. Ended up buying some and tried them out. Now I’m back here writing this because I wanted others to know that Sugarbaby are really nice lashes. Wow. I felt bad keeping this info to myself cause these lashes could seriously fit so many other ladies out there.